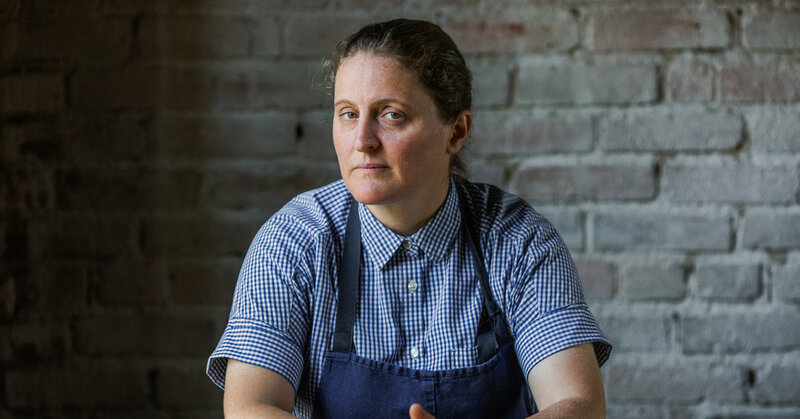 The Hearth & Hound, the Hollywood restaurant opened by the chef April Bloomfield and the restaurateur Ken Friedman in 2017, closed after dinner service on Saturday night. Ms. Bloomfield, who made the announcement on the restaurant’s Instagram account, had acquired Mr. Friedman’s share of the Hearth & Hound last June, when their decade-long partnership was dissolved in the wake of the sexual harassment scandal that engulfed the business. Ms. Bloomfield did not respond to phone calls and text messages seeking further comment, and declined to speak to a reporter who approached her during dinner service on Saturday. The large restaurant was packed, inside in the dining room and bar, and outside on the patio. Fires were still blazing in the open kitchen, where Ms. Bloomfield was cooking in a blue shirt and apron. She paused occasionally to greet regulars; as diners hugged her, she teared up and wiped her eyes. Dishes that were praised by the Los Angeles Times restaurant critic Jonathan Gold in his January 2018 review, like roasted squash with greens and hanger steak with beets and horseradish, were still on the menu. Mr. Gold, who died in July, made his review of Hearth & Hound one of the first to wrestle with the question of whether to write about, or patronize, a restaurant whose owners had a history of sexual-harassment problems. The restaurant opened in December 2017, just days before The New York Times published a report in which many current and former employees said Mr. Friedman had sexually harassed them physically and verbally; some said that they had complained to Ms. Bloomfield, and that she had failed to stop the abuse. Ms. Bloomfield has said that she was unaware of the extent of the harassment of employees by Mr. Friedman and the chef Mario Batali, but her long silence drew criticism. She first addressed the scandal at length in an October interview in The Times. Mr. Friedman has said he disputes the details in the Times report, but apologized for behavior he said “can accurately be described at times as abrasive, rude and frankly wrong.” He did not respond to a text message and a phone call seeking comment. The partners had poured years and millions into transforming the indoor-outdoor space, which since the 1980s had been occupied by a raffish British-style pub, the Cat and Fiddle. The space was available when the partners were looking to open in Los Angeles and expand their empire. At the time, they owned or ran six restaurants together: the Spotted Pig, the Breslin, the John Dory Oyster Bar, White Gold Butchers and Salvation Taco in Manhattan, and Tosca Café in San Francisco. Mr. Friedman told L.A. Magazine that he was enamored of the Sunset Boulevard location’s architecture, outdoor space and rock ‘n’ roll history. The pub’s original owner, the British bassist Kim Gardner, had played with bands such as the Birds, and made the Cat & Fiddle a music industry haunt, known for its relaxed smoking policy and proper English pints. Mr. Friedman, who grew up in Los Angeles and worked in the industry for years before branching out into restaurants, said he had spent “a few debauched mornings” at the Cat & Fiddle in the 1980s. He is now the sole owner of the Spotted Pig in the West Village of New York, where several women say they were subjected to sexual misconduct by him and by Mr. Batali, a regular and investor. Mr. Batali was the subject of an New York Police Department investigation into accounts of sexual assault in the restaurant’s private party space. The investigations have been closed for lack of evidence, a department official said this month.